Sipping a cold locally-brewed beer with a view overlooking the mouth of the St. Lawrence River isn’t a bad way to spend a Saturday afternoon. 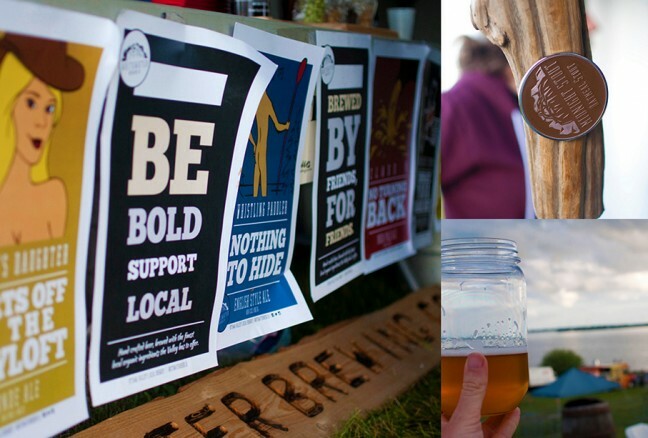 June 14th marked Kingston’s first Beer and Food Truck Festival. The food truck movement has been growing in popularity across North America and – lucky for us – has made its way to Kingston and taken over. In the past year countless new food trucks have popped up across the city bringing affordable gourmet food to the streets. 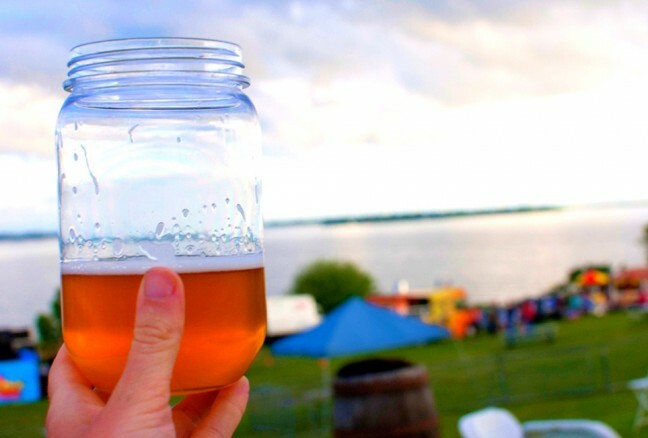 The Beer and Food Truck festival celebrates this movement by bringing local food trucks and microbreweries to Fort Henry for the afternoon. I had the pleasure of sampling from three of the trucks at the festival and three microbreweries. 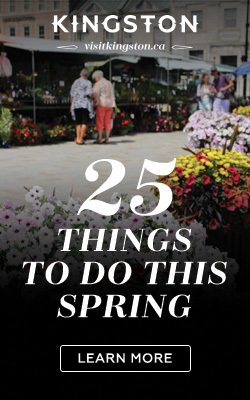 But while the Beer and Food Truck Festival might be over, you can still check out these great options at their regular outposts/locations! Burrito Bunker was serving the crowd in style – fully decked out in camo. 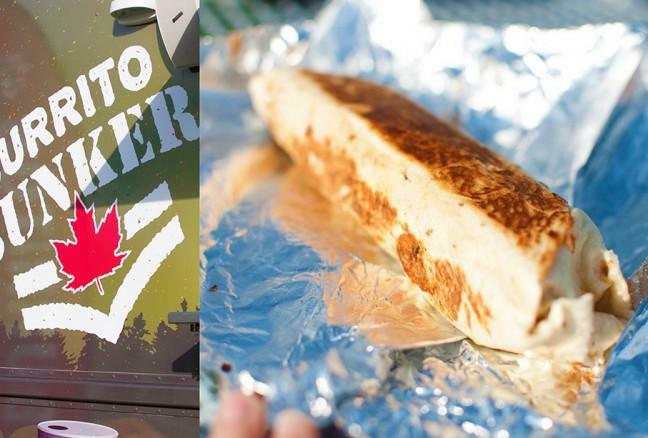 Burrito Bunker is a new truck on the scene this year and is the sole truck serving the West End. Stacy and crew – fully decked out in camo to stay true to the military theme – serve up “rations” of chicken, beef, fish and veggie burritos. The toppings list goes on for a mile – luckily the toppings are included! I got to try the fish burrito for the first time at the festival. The fish is first beer battered and fried before it’s wrapped into a burrito and toasted. The fish is very mild so if you’re not into “fishy” fish you’ll still love the “Admiral Poisson” burrito. 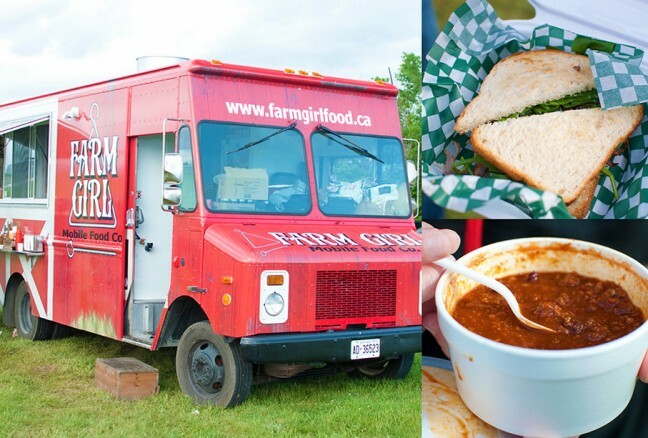 Farm Girl Food was serving their beef dip sandwich and gourmet chili. Tamara and Peter Bolger really took the bull by the horns last year and started Kingston’s first gourmet food truck. Their concept is to use local farm fresh ingredients to create high quality food. It’s clear Kingstonians have loved what they’ve been cooking up since the beginning because their truck at City Park is always bustling with activity. When I arrived at the festival Farm Girl had already sold out of many of their fan-favourites such as the tasty Southern Fried Chicken (pro tip: arrive early!). Regular outpost: Place D’Arms & Wellington St.
Another new truck this year, Two Nuts has gone above and beyond to offer quality food to the K-Rock Centre area. My favourite meal from Two Nuts is the fish taco topped with mango salsa. Somehow they are able to use only the juiciest and most flavourful mango I’ve tasted! If you haven’t tried it yet swing by their regular post on Wellington Street for lunch – you can’t miss the bright orange truck! 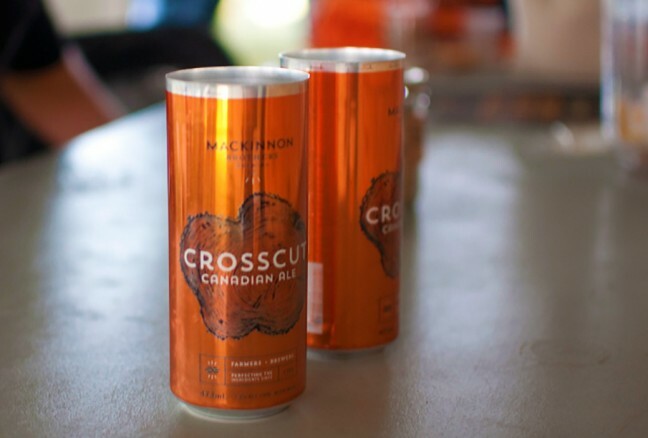 The Crosscut Canadian Ale hails from Bath Ontario on a family farm run by the Mackinnon Brothers. These brothers use ingredients grown right on their family farm just outside Kingston – no imported hops and barley in this brew! The brewmaster himself, Daniel, was pouring their tasty beer at the festival. Daniel’s master’s degree in brewing and his brother Ivan’s engineering experience make them a perfect pair to build a brewery at their family farm. The beer is naturally aged in a cellar using a Limestone foundation as a natural air conditioner. Their Crosscut Canadian Ale had warm caramel tones – it was my favourite of the festival. Mackinnon is now on tap at the Brew Pub and Red House. Sandbanks winery was serving their local favourites from Prince Edward County. Not a beer per se but Sandbanks wine is certainly a Kingston favourite. You simply can’t go wrong with their Dunes white or Baco Noir red. 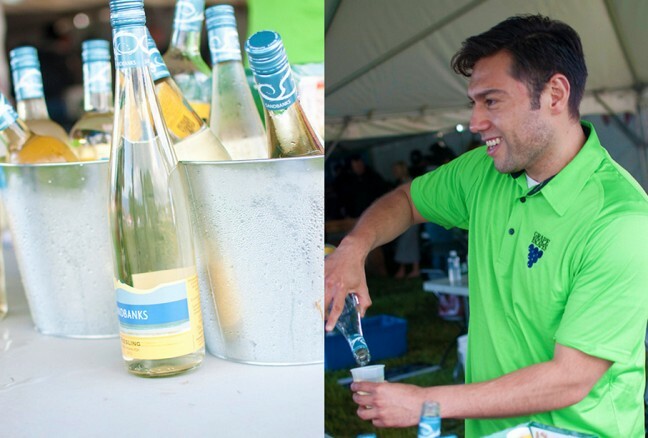 Sandbanks vineyard is located in Prince Edward County and all their grapes are grown locally. 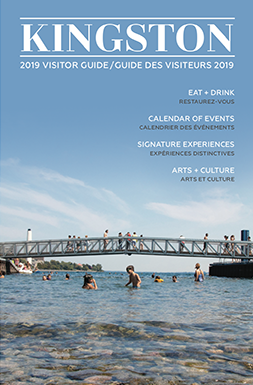 Sandbanks offers guided vineyard tours in the summer months from 11am to 2pm. Whitewater Brewing Company from Ottawa was started by three paddling buddies. This brewing company was conceived by three paddlers on the banks of the Ottawa river. Their Jacked Rabbit Espresso IPA was a big hit at the festival. It’s made with coffee sourced from the Madawaska Coffee Company. I also sampled their Farmer’s Daughter Blonde Ale which was a great way to end off the afternoon. Whitewater is now on tap at The Brooklyn if you didn’t get a chance to sample it at the festival. Enjoying the final beer from Whitewater Brewing Co. at the end of the day. What a view!